This dynamic and exciting program allows Rollins students to enroll directly into Maynooth University and take courses with local and other international students. Students on this program will be fully integrated at Maynooth University, living in residence halls on campus or in nearby homestays, taking courses with Irish and other international students, and participating in nearly 150 student clubs and societies - providing unique opportunities to become immersed in the social, cultural and sporting fabric of Maynooth University. Because this is a direct-enroll program, it's an excellent fit for most Rollins majors and/or minors, including many science majors, Global Health minor, Pre-Med and Pre-Law, English, Latin American and Caribbean Studies (yes, this is true! ), Spanish, Music, CMCS, Environmental Studies, Philosophy, Computer Science/ Math, all business disciplines, Economics, Anthropology, Sociology, Psychology, etc. You will be responsible for making your own flight arrangements and travel arrangements to your flat. A cab will be your best option, though you can take trains into Maynooth from the airports. Remember to take the address of the housing with you if you are staying with a host family. Orientation week takes place the week before lectures commence in September or last week of January. It is a weeklong event that welcomes all students to the University and includes welcome talks, campus tours and introductions to the academic departments, student services and clubs and societies. It is compulsory that all students attend orientation as they will gain vital information about the University and be introduced to a new situation and environment. 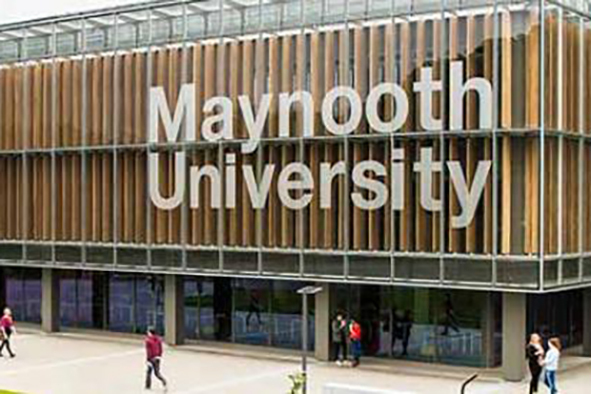 Maynooth University is the fastest growing university in Ireland, with over 8,400 students from over 50 countries in Europe, North and South America, Africa, and Asia. Rollins students will have access to a wide variety of courses in a broad range of fields from 26 academic departments. All courses are taught by the Maynooth faculty members. In Maynooth students enjoy the safety, charm, and peace of the local area, with easy and frequent access to Dublin city centre. Maynooth’s location, in County Kildare, is adjacent to the Irish ‘silicon valley’, home to the European headquarters of many multi-national companies, such as Intel, HP, Facebook, Microsoft and Google. Today Maynooth is a charming and busy town with many shops, cafes and public transport options and general services, and home to a vibrant local community that offers students abundant opportunities to enjoy a very enjoyable social life. Most courses are lecture-based and students are assessed on a limited number of assignments. During one semester, students may choose courses from any undergraduate department and may concentrate on one academic field or take courses from different departments. As is the case at Rollins, some courses may be unavailable due to schedule conflicts, over-enrollment or prerequisites, but in general, visiting students may select from a wide range of excellent courses including courses in business, science, social science, humanities and fine arts. For a full list of academic fields and courses available please click here. Students participating in this program on average take the equivalent of 16 credits during the semester at Maynooth. Two-hundred and three-hundred level courses at Maynooth are equivalent to upper-level courses at Rollins. The Academic Advisory office offers a convenient first point of contact for students who wish to seek advice or assistance with their general experience of University life and is located on the first floor of the Education House. Students participating in this program have the opportunity to complete a certificate program during their semester abroad. Maynooth offers a variety of certificate programs that cover different interest areas for Rollins Students. It is a certificate for students attending Maynooth University for a single semester or for the full academic year. The program offers an inter-disciplinary evaluation of early Irish cultural history. It also includes an exciting program of Field Seminars that brings students to some of the most iconic archaeological and historical sites. This certificate is tailored for international students seeking to have a first-hand experience of Irish education. Students will be enrolled in the Professional Master of Education program and join Irish students who are pursuing their teacher certification. Student take university-based modules and conduct a practicum placement in a post primary school. Students must undergo Garda Vetting. This certificate provides an opportunity to study social justice, peace and conflict, in both theory and practice, in the context of Irish society, North and South. Combines classroom learning, field visits and individual projects. Student will learn a comprehensive overview of key aspects of social justice in Ireland. It is a certificate for students attending Maynooth University for a single semester or for the full academic year. Courses will be offered from various departments, in areas of public health, health sciences, and international relations, among others. The academic system in Ireland is quite different than the U.S. system. There are generally fewer class, or contact, hours per week than in the U.S., and there is less continuous assessment of students’ academic performance. Study in Ireland requires a great degree of self-discipline in order to do self-directed study. Semester grades are typically based on only one or two major assignments such as a paper and final exam. Students participating on this program will need to seek the appropriate departmental approval for all major/minor requirements and approval for General Education Requirements through Student Records. All courses on this program appear on the Rollins transcript as transfer credits and the grades are factored into the Rollins GPA. Students who successfully complete this program through Rollins will receive an official transcript from Maynooth University. It can take up to 3 months to receive the official transcript. River Apartments: Each bedroom has an en-suite bathroom. A typical apartment has five bedrooms each with its own en-suite bathroom. Limited number of twin rooms also available which also have en-suite bathrooms. There is a large kitchen, dining and lounge area. Rye Hall: All bedrooms are single and there are a range of three-bed, four and seven bed apartments. Each has at least two shower rooms. A select number of the bathrooms are en-suite. Village Apartments: All single rooms. Each five bedroom apartment has two bathrooms. There is no meal plan on this program. Residence halls include shared kitchens and students are responsible for preparing and/or purchasing their own meals and homestays offer half board and weekend meals. The campus has many cafes and convenience stores, an on-campus cafeteria that serves breakfast and lunch. Also, there are nearby supermarkets and restaurants. Students who choose to live with a host family will live in between Maynooth and Dublin. The host will provide accommodation and half-board meals during the week and three meals at the weekend. The student will be provided with his/her own house key and the host is there to offer advice, as well as to take an interest in the students well-being. The Student Union, located on the North campus, is a great place for meeting up with other students, and serves food during the day. There are thirty-six active Sports Clubs and different societies on campus such as political parties, art, craft and design, comedy, music, drama, games and history. On-campus facilities include an indoor sports hall and gymnasium, which offers indoor sporting activities, weekly aerobics and circuit training sessions, and a swimming pool and playing fields. The International Office also holds a number of events for international students throughout the year, for example a Chinese New Year Celebration and Thanksgiving Dinner. Other events include movie nights, student nights out, parties, and day and weekend trips. Throughout the year the International Society also organizes a number of weekend trips to places such as Galway and Belfast which are reasonably priced and a great way to meet new people. The Student Buddy Network, run by the International Office allows students to be paired up with a Maynooth University student to provide guidance and advice. We have a Facebook group for Buddies which all interested students can join in order to contact each other, share photos and information and organize events. Tuition and program administration, accommodation, complete medical and emergency insurance, orientation, on-site transportation, group activities, and one weekend excursion. Advising is offered on a walk-in basis:Tuesday-Thursday from 12pm - 2pm during the normal semester. If you are unable to make it at these times, email, call or stop by to set up an appointment. We can also put you in touch with student program alumni who would be happy to share their experience with you. You may also want to review our blog site to see what past students have said about their adventures on this program.